Note Cards Ecru Personalized With Name, Envelopes Included | See Thumbnail Images For Options. Remember to let your friends and family know how much you appreciate them with these simple ecru, fold-over note cards. May be customized as a THANK YOU instead of a person's name on the flap. 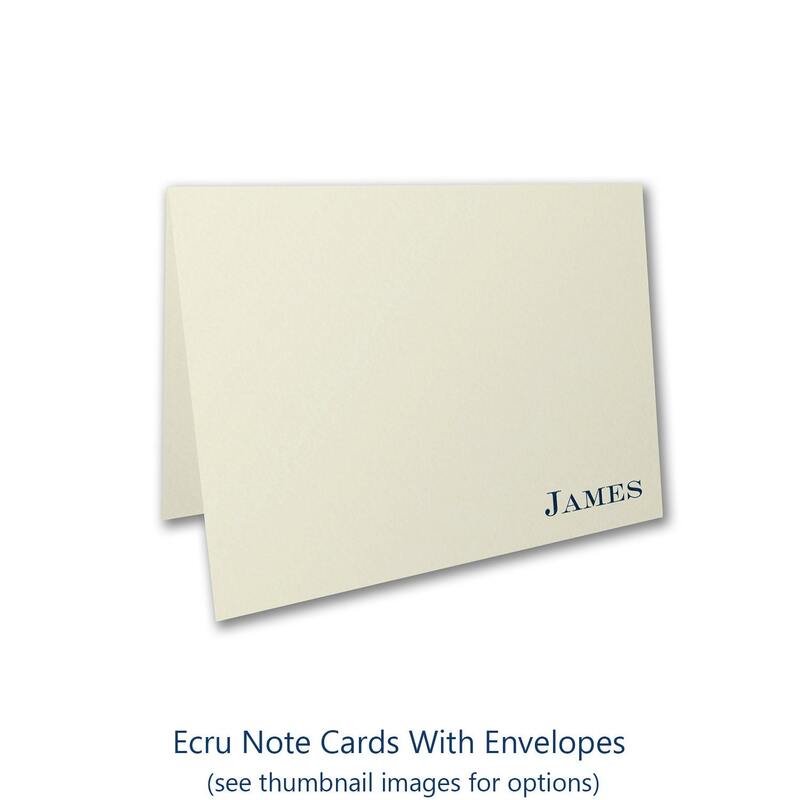 Select the number of note cards you want in the "QUANTITY + RETURN ADDRESS" section on this product page. Select the number of note cards + return addressed envelopes. Different text layouts are available if you don't want the name in the lower right corner as shown.